Print’s great and all, but we want to meet you where you’re at, too. 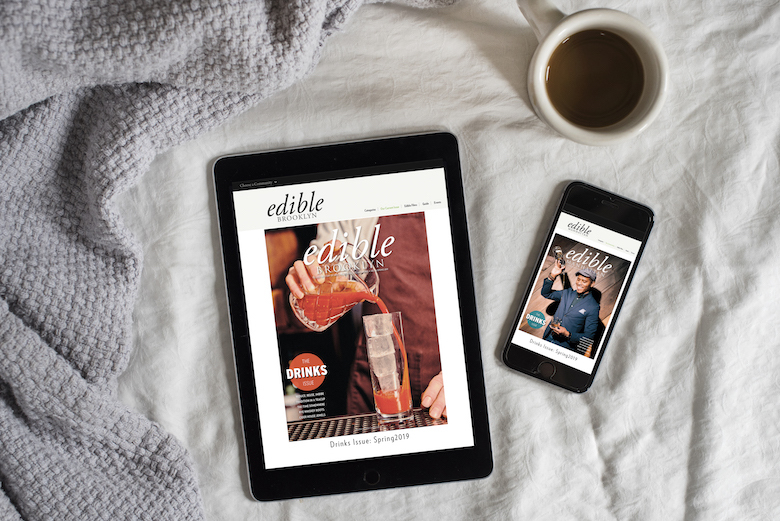 We know it: When most people think of Edible, they think of our print magazines. And why wouldn’t you? They’re how we started well over a decade ago and we’ll be the first to say that we think they’re beautiful, rare objects. But we want to meet you where you are, too, and we know that’s mostly online. So welcome to the latest iteration of our website, which we made just for you. Looking back at our most popular stories, newsletters, events and social posts, we’ve revamped our design to give you what you want. We cleaned up the header to spotlight one story at a time. We’ll be changing this up throughout the week. Scroll a little, and we’re putting our current issue front and center. Here you can easily jump to our latest seasonal edition and find a hard copy near you. We’ll also be featuring our weekly giveaways here, where you can score everything from new pots and pans to drinks for two at one of our favorite local bars. The best way to follow what we’re giving way each week is subscribing to our newsletter. We also drop the news and some special one-offs on our Facebook, Twitter and Instagram. Next, see our picks for events happening each week. If you’re familiar with our calendars then you know that during any given week in this city, you can count on us to find out where you can learn how to do everything from making yogurt to starting your apartment garden from seed. Dining: More than anything else, you want our guidance for where to eat and drink. We’re now breaking this down neighborhood by neighborhood, as well as by breakfast/brunch, lunch, dinner and drinks. Have we covered every neighborhood to date? No. Do we plan to? Yes, week-by-week. One of our favorite writers and food experts Alicia Kennedy is publishing a new neighborhood guide every week and you can follow her picks by subscribing to our newsletter. Is there a neighborhood you’d like to see sooner rather than later? Tweet to us or email us at [email protected] and we’ll bump it up in the queue. Recipes: Whether you cook or not, you’re coming to us for recipes. We rarely develop our own but do highlight the latest cookbooks catching our eye. We’re also lucky to have a close relationship with Food52 whose work we’ve admired for years. Expect us to share more of our picks from them from here on out. Community: Above all we’re a local publication that loves to champion our community. Here we’re continuing to tell the stories of the people and ideas that are making our food more sustainable, equitable, nutritious and delicious. Travel: While you definitely rely on us to know our territory, you also want our picks elsewhere. This section is where you can find our guides and stories outside of Brooklyn, which we hope to ramp up as the weather warms. Events: Keeping it close to home, we’re continuing to share our favorite local events in our calendar that we update almost daily. Like I said, you can find our picks for any given week on the homepage, or you can browse our full selection on this page. The Collective: Are you a food and bev professional seeking like-minded community? 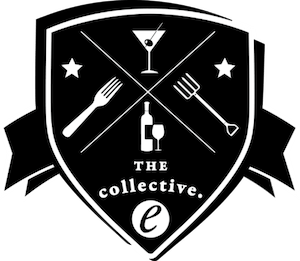 Check out our Collective: aka a network of chefs, bartenders, artisans and others looking to swap information and hone their skills across their respective fields. Issue: And finally we’re back to the issue, where we started. With the bulk of our redesign done, we aim to unleash our archives here in the coming months. In the meantime you can read the entirety of our current issue, learn where you can find a hard copy and just go on and subscribe 😉. These updates are only the beginning of our Web reset. You can subscribe to our newsletter to stay up to date and follow us on Facebook, Twitter and Instagram. We’re watching, reading and listening—and we can’t wait for you to see what’s next.